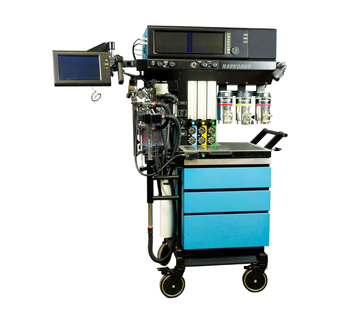 The ultimate system for anesthesia delivery, monitoring and management. Enhanced critical event avoidance and rapid response. The North American Drager Narkomed 4 anesthesia system is a very popular system for anesthesia delivery, monitoring and management. At the time of this posting the Drager Narkomed 4 is one of the most advanced NAD machine available, and is equipped for enhanced critical event avoidance and rapid response.